Daily Debate: Which Version of Ganondorf is the Most Intimidating? Ganondorf’s character designs and power make him an iconic and threatening villain in every Zelda game that he appears in. Whether he’s portrayed in his human or beast form, he is consistently dark and opposing. While I appreciate the designs for Calamity Ganon in Breath of the Wild (they are flat out terrifying and feral), and The Wind Waker‘s portrayal of a more solemn Ganondorf that is still a major looming threat for Link and his allies adds so much to his character, I find that the most intimidating version of Ganondorf is his appearance in Ocarina of Time. The build up to the final battle in Ocarina of Time was cinematic and epic, and climbing the staircase in his castle and hearing the organ’s music crescendo still gives me chills. 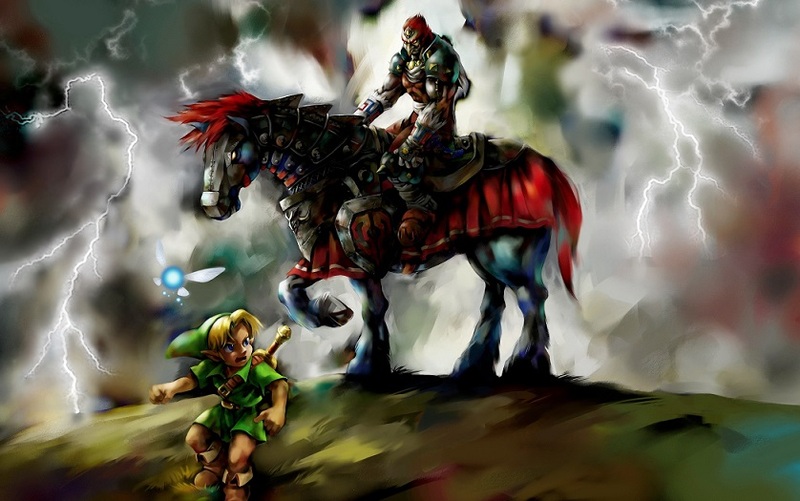 Ocarina of Time did an excellent job setting the tone for Ganondorf’s villainy and the lengths he would go to take over the world. One of the scenes I remember the most when I played through the game was the stormy night when Link returns to Hyrule Castle only to find Impa and Zelda fleeing, followed closely by Ganondorf. The music, the rain, and the dynamic camera angles made me just as scared as Link was to be face to face with the King of Thieves. His dialogue, while a little silly, reinforces just unphased he is by Link’s presence at the drawbridge and I think it adds to what makes him so memorable and threatening. The way the scenes and confrontations are crafted make me appreciate Ganondorf’s presence in Ocarina of Time so much (plus, if you believe the three-way split timeline, Ocarina of Time‘s Ganondorf manages to kill Link and create another branch, so that’s pretty scary). But what do you think? Which version of Ganondorf do you find the most intimidating? Let us know in the comments!